This September started out with some great weather. 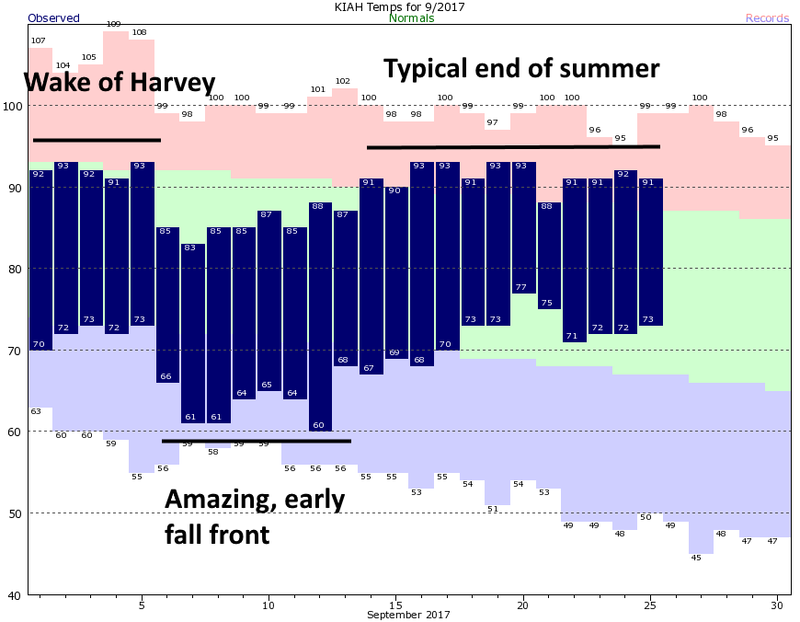 In the aftermath of Harvey, the region saw drier winds on the back side of the storm, and then, just six days into the month, we received a surprisingly strong early front. Usually the first front washes out in a couple of days, but this one stuck around for nearly a week. Since then, it’s basically been typical end-of-summer weather for Houston. Now we’re about to get the second “front” of the season, but unfortunately this one is going to be weaker than the first. Indeed, this front is more like what we typically experience as the season’s first fall front, which more often brings dry air and slightly cooler weather. Did you like Monday’s weather? Because the greater Houston region can expect more of the same today and Wednesday. While central and southwestern Texas is pounded by some heavy rains, the greater Houston area should remain mostly dry. I certainly think we’ll see some scattered showers and thunderstorms, especially to the southwest of the Houston metro area—but none of these should present much of a flooding threat. Highs will remain warm, around 90 degrees, with ample humidity. Every year I struggle with whether to write this post—because there’s always a chance it will be wrong. However, the fact is after this date the chance of a hurricane striking Texas is vanishingly low, about 1-in-50 for any given year. I’ll discuss this more below, after the forecast. 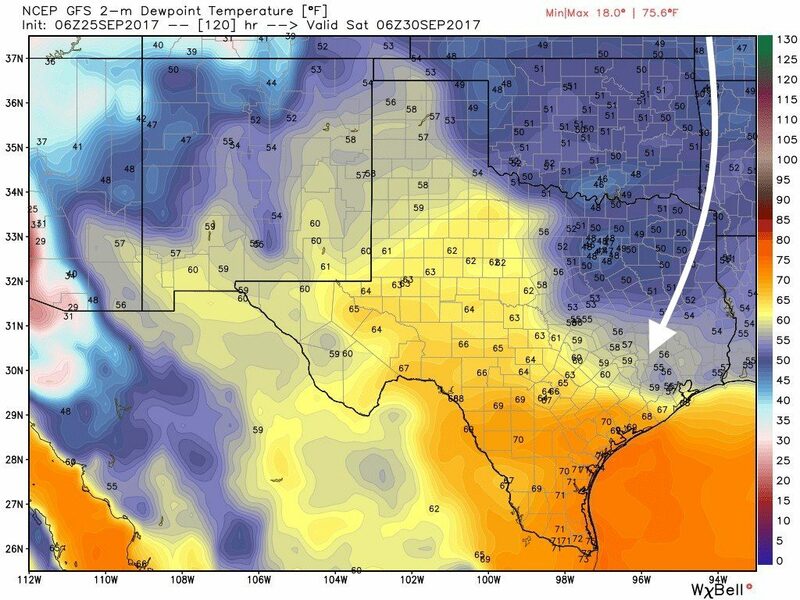 Houston’s late summer-like pattern will persist over the area for the next few days, with hot days and highs of around 90 degrees, steamy nights in the 70s, and scattered showers. 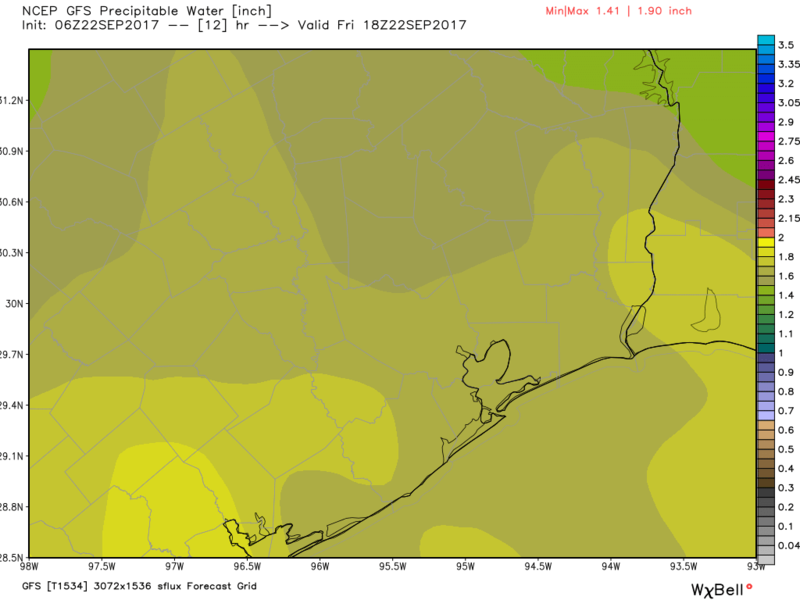 A few thunderstorms could be pretty strong, but most of Houston will see moderate, little, or no rainfall over the next three days. Area-wide accumulations will probably be measured in tenths of an inch, if that. Warmer weather will hang around as a cold front backs into the area from the northeast. These northeasterly winds should arrive by sometime on Friday, but we may not feel the drier or moderately cooler air until Friday night or Saturday morning. Until then we can expect more warm days and muggy nights, with slight rain chances. 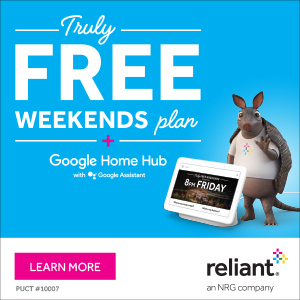 Houston is going to have a great weekend to end September and begin October. It’s not going to be cold by any stretch, but the air will be drier and that will make a big difference. Expect mostly sunny skies with highs most likely in the mid-80s. Overnight temperatures should fall to the mid-60s for inland areas, with warmer conditions near the coast. As expected, Thursday produced some heavy showers across the metro area, with as much as 3 inches of rain falling in parts of Clear Lake. Fortunately, the deeper moisture associated with these heavy rains should now move off to the west—giving Houston some drier weather in the days ahead. A few showers and thunderstorms will be possible, but for the most part the combination of lower atmospheric moisture levels and sinking air should reduce rain chances both days. You may still want to take an umbrella with you for a stray storm, but if you’re planning an outdoor activity chances are you’ll be fine. 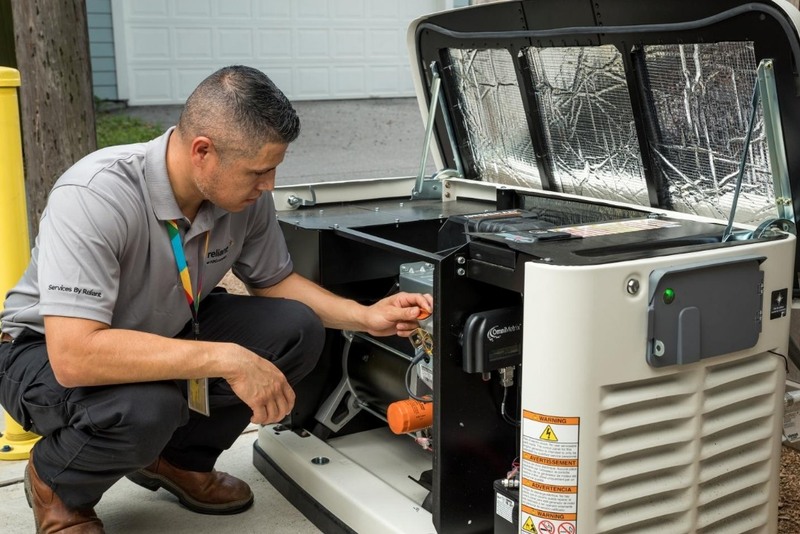 Mostly, it’s just going to be hot, with highs of around 90 degrees, and humid. Moisture levels creep back up during the second half of the weekend, but again, the atmospheric dynamics do not appear to be such that we’re going to see widespread showers like on Thursday. Instead, expect scattered storms, with most of Houston seeing moderate amounts or no rainfall. Temperatures remain warm, with highs near 90 degrees.